Are you a Los Angeles property owner with an investment in the Brentwood neighborhood? 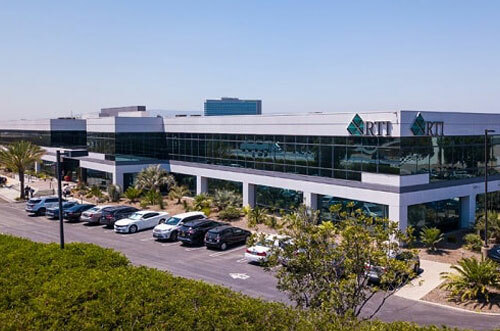 At RTI Properties, Inc., we bring vast experience in managing all kinds of L.A. properties including residential homes, apartment complexes, and commercial premises in the Long Beach area and beyond. Our team of property management experts and consultants are highly trained to offer unrivaled services and knowledge to our clients throughout Los Angeles County. With over 30 years of experience in the market, we have consistently set the standard for Brentwood Property Management due to our client-oriented approach. It is our goal to ensure all of our property owners receive a customized property management plan that includes services that suit the needs of their particular investment. What We Do As Your Brentwood Property Manager? Our team works closely with you to market your property via direct advertising and digital marketing as well as coordinating with other property management agents in Brentwood and Los Angeles, so your property garners the exposure it deserves in a metropolis of opportunities. Additionally, we utilize an extensive network of websites in which we market our clients’ properties via online listings. Here at RTI Properties, Inc., we include experienced and licensed property realtors within our team. These professionals are responsible for showing all available properties to applicants. We recognize the importance of having our real estate agents onsite to secure your property and thoroughly answer any questions that applicants may have. Part of our job as your premier property managers is to conduct extensive research and market analysis to determine the most appropriate yet competitive price for your property. We make it our goal to land you the best rates for your property while giving you an edge in the Brentwood commercial or rental market. We offer thorough tenant screening services to all of our clients, so we can ensure trustworthy and financially capable tenants over the long-term. One of our top priorities is to make sure none of our property owners ever feel frustrated due to late rent payments. On top of tenant screening and acquisition for each individual property or unit, our team also looks at the big picture when your investment portfolio is in our hands. Overall, we endeavor to consistently maintain maximum active leases and occupancy to improve the ROI of your investment(s). We pride ourselves in simplifying the process of property management for our clients by drafting lease agreements and renewals for residential and commercial properties. 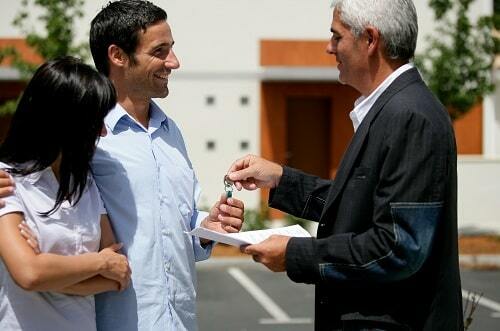 We also guide our clients through the legal process in the event of a lease violation by tenants. Part of our premier resident services includes our team of professionals collecting all fees pertaining to a leased property or rental on behalf of our property owners. With extensive experience working with various properties throughout Brentwood and Los Angeles, our team establishes efficient budgeting plans through detailed bookkeeping of all budget records and monthly statements. All of our property owners receive monthly statements directly to their email. By means of our behind-the-scenes financial services, we help our property owners keep track of all spending and profits, which subsequently allows our clients to monitor the performance of their investment. On top of the nitty-gritty of bookkeeping, RTI Properties, Inc. also synthesizes all the pertinent information and data our owners need into detailed reports on the financial status of their properties. As part of onsite operations, our team ensures yearly property inspections to ensure that commercial and residential premises are compliant and remain in pristine condition. In addition to annual inspections, we provide regular repair and maintenance services to all of our property owners, thereby ensuring their properties stay in good condition all year round. If applicable, we ensure all of your utilities are paid for out of your property funds in order to eliminate any scenarios of power cuts or other shortages of convenient utilities for your tenants. If needed, our team is available to provide property owners with contractor management services, thereby relieving them of the involved construction process. At RTI Properties, Inc. you can depend on us to provide comprehensive risk analysis and devise plans to mitigate all risk liabilities. As mentioned earlier, RTI Properties Inc. is proud to bring decades of experience in managing all types of commercial and residential properties throughout the city and county of Los Angeles including the niche market of the Brentwood neighborhood. Apartment property management differs from that of single-family homes due to several factors. 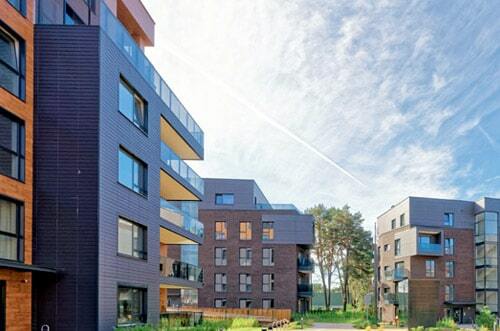 Whereas apartment complexes normally have many units housing many different families, single-family homes, as the name suggests, are designed to house only one family at any given time. Additionally, apartment complexes usually contain extra amenities and facilities like gyms, saunas, entertainment rooms, and etc. which makes apartment property management more labor-intensive and time-consuming. Regardless of the size of your apartment complex, our team is more than willing to provide you will all of the apartment property management services necessary to ensure you get the most out of your investment. If you’re looking for a competent and cost-effective property management team for your apartment building or complex in Los Angeles’ Brentwood borough, get in touch with us today, so we can discuss all of your options and build the right management plan for you. Besides apartment buildings and complexes, our professional team is savvy at providing our clients with comprehensive Brentwood property management services for their unique residential properties. We can specially tailor our services on a smaller scale for owners of single-family homes as well as multi-family homes that house a few families (typically 2-6 units). Although managing smaller unit properties might seem easier than managing apartment complexes, it still demands a significant amount of effort and time to keep your tenants happy over the long-term. At RTI Properties, Inc., we are more than happy to assist you with any management tasks to streamline the overall property management process. Some of the tasks we could perform on your behalf for your residential home investments include monthly rent collection, hiring contractors to facilitate repairs and maintenance, comprehensive bookkeeping, negotiating leases and rental agreements, scheduling property inspections, managing tax and mortgage payments, and tenant screening. The entire Los Angeles area as well as the Brentwood neighborhood in general, are home to a variety of commercial spaces and buildings open for lease to businesses and entrepreneurs. These include single and multi-tenant offices and buildings, retail shopping centers, and warehouses. Although the management required to run commercial spaces cuts across the board, specialized skills and tasks are required to effectively run specific types of commercial properties. Fortunately, our staff is qualified with experience and training to manage your unique commercial property investment. Some of the specialized commercial property management services we provide for our esteemed commercial property owners in Brentwood include: property marketing, rent, and deposit collection, levying and collecting fines for lease violations, repair and maintenance services, timely utility payments, round the clock tenant service and assistance, as well as a regular property inspection. Similar to managing residential properties, we provide auxiliary services like detailed bookkeeping, tenant insurance tracking, appraisals of contractors and vendors, as well as commercial rental market analysis. Here at RTI Properties Inc., we aim to provide our clients with a simplified approach to property leasing. We value our property owners, as well as the tenants. Our professionals are constantly working to ensure that both parties are satisfied with our property management services for prospective tenants and residents. Our highly skilled staff members have far-reaching experience in Brentwood property management and are more than happy to assist tenants throughout the property leasing process including screening, moving in, and any day-to-day maintenance issues that may occur. Efficiency and transparency are the cornerstones of our property management style. This is why all of our clients can access their services through our around-the-clock resident portal system. This online portal is well-equipped to ensure all property owners and tenants can access crucial information and perform specific actions including but not limited to: rent payments, financial statements, and maintenance requests. When you choose RTI Properties, Inc., you can rest assured knowing that we conduct a thorough screening of all prospective tenants before leasing any properties because protecting the rights and interests of our property owners is our main concern. On the other hand, we also strive to ensure that the rental application process is as straightforward and hassle-free as possible for potential tenants. Our team of professionals strives to secure long-term tenants for our clients’ properties. It is therefore absolutely crucial that our clients’ tenants are comfortable in the respective properties they lease throughout the period of their stay. In light of this, we regularly conduct repairs and other maintenance services to all of our rented or leased properties. If you have any queries or requests pertaining to our leased properties, you can easily contact us through our service number. Our qualified professionals are always ready to answer any questions you may have and offer prompt service as required. To speak with us directly, just dial (310) 532-5470! Brentwood in Los Angeles is highly popular due to its proximity to Santa Monica, Bel Air, and UCLA. Most Brentwood tenants and business are attracted by the upscale environment and growing luxury market, and they normally rent or lease properties for extended periods of time. If you are looking to rent your property in Brentwood, you’ll be pleased to know that most of our listed properties tend to get interested tenants in under a month. Thanks to our highly effective marketing and advertising strategy, our team works tirelessly to secure reliable tenants for your property in the least amount of time. Do I Need A Brentwood Property Management Company? If you are a property owner in Brentwood, Los Angeles looking to rent out or lease your property, hiring a property management company is one of the best decisions you can make especially if you own multiple properties. We at RTI Properties Inc. have a fully equipped staff with vast experience in the Los Angeles property management market. Our highly skilled team will help you market your property through online listings as well as direct advertising to ensure you get the right tenants for your commercial or rental property. In addition to this, we will provide your choice of full-service or select property management services according to your needs. How Much Does it Cost to Hire An Experienced Property Management Company in Brentwood? The cost of hiring property management in Brentwood, Los Angeles depends on the company you choose to work with as well as the type of property you own. It is highly important that you hire tried and true experts as opposed to low-cost companies which may not perform services up to par in the competitive market. Keep in mind that you will need to pay a fixed percentage or monthly commission for delegating maintenance tasks to a property management company. This is determined by the number of responsibilities you are delegating to the property management team and is open to negotiations. If you require any advertising or marketing services for your property, this will come at an extra cost for the labor and fees involved. 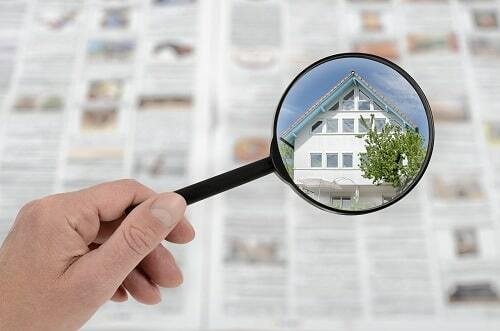 Some of the most popular channels used to increase property exposure include classified columns and web pages. You must also pay your property management company a fee for screening potential tenants before showing them the property. A property management company will charge you a renewal fee once a tenant confirms to renew their lease. You must pay for all repairs and maintenance charges on your property as determined by property inspections by your designated property manager On average, the property management fee for residential properties amounts to about 8- 12% of the monthly rent. For commercial properties, most property managers charge between 6-12% of the monthly lease amount. Request a Free Management Quote Here! How Much Rent Can You Get From Your Investment? We provide all of our property owners with a comprehensive market analysis to help them make an informed decision when setting monthly rental rates. Our thorough research is intended to help our property owners optimize the value of their property as well as communicate important insights into prevailing market conditions in the property’s area. What Sets Us Apart From Other Property Management Companies in Brentwood, Los Angeles? Customized property management plans tailored to your needs! To get started with your premier property management services for your Brentwood, Los Angeles commercial or residential property, start off by requesting a free management quote today! Our Brentwood Property Management services provides all aspects of property maintenance to help you reach your goal. Contact us today or Call us now at (310) 532-5470 to see how it becomes so easy for you when we start managing your Brentwood, CA property! RTI Properties, Inc. is the Best in Class Property Management Company in Southern California. RTI Properties manages thousands of residential properties and numerous commercial properties for both individuals and institutions. Since 1986, RTI's Property Management Team has refined and streamlined the business of property management for the benefit of its clients. RTI Properties is a well proven and trusted company. No one else in the property management industry can match their meticulous follow-through with its client owners and their residents. © 2019 RTI Properties, All Rights Reserved.